Just read an article about a woman who separated from her husband after 21 years of marriage over his choice of President. It's our hope that couples getting married at Bridal Dream Hawaii will have a strong and life-long commitment that overlooks differences of opinion. We have gone on record offering this gentleman a FREE WEDDING at Waikiki Beach (near the spot in this photo) should he decide to remarry. "We are sad to hear that a couple would separate over political differences after so many years of marriage. 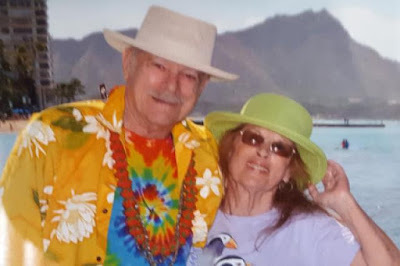 If Bill McCormick (featured in this article) wishes to get remarried in Hawaii near the spot shown in his vacation photo, Bridal Dream Hawaii will sponsor his wedding with a free package."